On any given day, it seems safe to assume that Mark Zuckerberg is probably very sorry. Maybe he’s sorry for how miserable Facebook makes us in general, maybe he’s sorry for allowing a firm working with the Donald Trump campaign to steal profile data from 50 million—make that 87 million—people, and maybe he’s sorry that his previous apology wasn’t good enough. He’s sorry for all of those things combined this week, but he’ll specifically be directing his apologies to Capitol Hill on Tuesday and Wednesday when he testifies before Congress about his social networking site’s various recent failures. Seriously, he’s willing to make less money if it means fewer people get fucked over by Facebook, which is so saintly that he deserves to be canonized immediately. He shouldn’t be testifying before Congress, he should be posing for a statue! 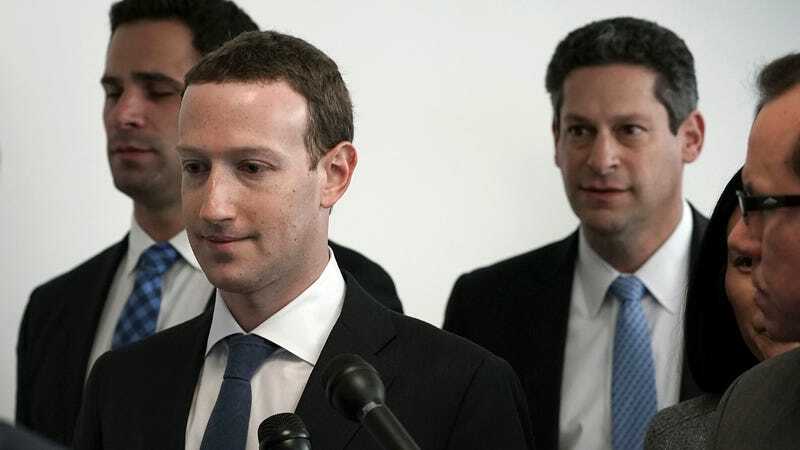 Mark Zuckerberg on data harvesting scandal: "We made mistakes"